When is 'Assembled in the USA' more than just a catchy phrase? My dad started PCA Products, and as a family owned manufacturing business for over 25 years, the community we live and work in is at the forefront of what we do and why we are committed to quality. We source and hire locally whenever possible. We are not just building the highest quality screen doors, we are responsible to our community to give back and build a stronger economy at home. 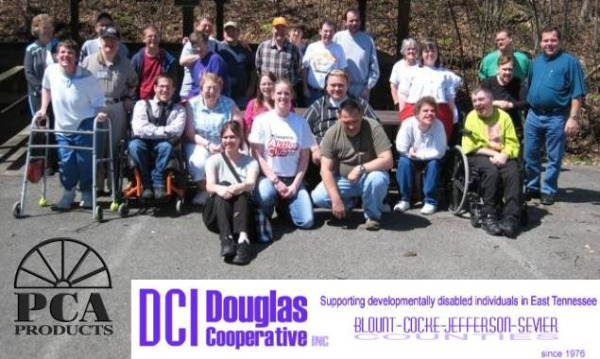 The Douglas Cooperative is a private non-profit organization that provides an array of services to individuals and families with disabilities. For several years now, PCA has worked with the Douglas Cooperative to hire and train individuals who assist in our screen door assembly and order fulfillment process. Through pre-vocational training, disabled individuals focus on attention to task, following supervisor’s requests, and completing developmental tasks. Individuals involved in the vocational component are paid for work. Also, emphasis is on preparing for competitive work through learning how to complete a job application, preparing for interviews, focusing on job expectations, evaluation, etc. The staff at Douglas Cooperative also assists individuals in job procurement and provide support once they are employed. Job Coaches assist the individual initially, enabling them to learn what the employer expects. Gradually, the Job Coach fades away once the worker is secure and the employer’s expectations have been met regarding job performance. The Job Coach is available to assist at a later date should the job expectations change or in the event the individual loses their job and needs re-training. Many individuals have been successfully employed for over five years. To us, they are not just packaging the screw packs that are included with each screen door. They do more than cut to length of felt that ships with our adjustable bug sweep that keeps our screen door bug-free. They are our neighbors, friends, and families. Assembled in the USA means we are supporting them. Do you hold these values close in your business? We are looking to expand the PCA Partner family.